Beatrice Wilder, known as Bea, is 13 years old as the story begins. She does not at this stage know that she is a witch. 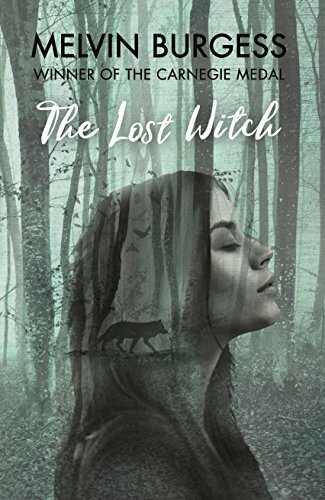 She struggles with her own ability to summon the spirits of humans and animals out of their bodies, a rare gift even among witches. A group of malevolent people known as the Hunt are in pursuit of the witches, intent on stealing their magical powers for their own purposes. The reader does not know which of the magical characters on display are genuinely using magic for praiseworthy ends and which are secretly conspiring with the Hunt. Before she knows she has magical talents, Bea meets a boy named Lars. He can do amazing tricks on his skate board. He sees Bea as beautiful and talented. She also meets Odi, a very old and very talented witch, and Silvis, the granddaughter of Odi. Bea, Odi and Silvis become friends almost instantly. But Bea faces a problem. When she informs her parents of her magical talents, they think she is unstable. They take her to hospital to be treated. The hospital is infested with members of the Hunt. They try to put Bea in a machine which will separate her witch spirit from her non-magical spirit, reminiscent of the machine used by to split children’s souls by Philip Pullman’s Oblation Board. Bea escapes, ostensibly with the aid of Lars but in fact as a result of her own powers. The reader is now obliged to ask who in reality is Lars and what will be the result of his involvement in Bea’s life? Burgess, as might be expected, creates a fictional world that is coherent and credible. The plot twists are numerous and skilful. He guides the reader’s sentiments with a confident hand, leading to a situation where the reader has little idea who is trustworthy and who might be a betrayer. Some authors excel at gritty realism, others at fantasy. It is rare for any author to command both sets of skills. Burgess is undoubtedly one of this elite band.